Understanding hearing loss can be tricky – and often quite emotional. Our goal is to make it as easy as possible for you to find the answers to your questions. No problem. Complete the form below and we'll do our best to give you the information that will help you. An audiogram is a hearing test that is generally performed in a soundproof room using sophisticated, calibrated equipment. A trained professional, most commonly a regulated audiologist, usually administers the test. Earphones are placed over/in your ears, and tones are presented to each ear, one at a time. The softest level at which the sounds can be heard is recorded. How long will it take to treat my hearing problem? Treatment typically starts within 1-2 weeks. Hearing loss generally decreases over time, therefore retesting and adjustments are made to accommodate any changes that may occur. We do make home visits when required, within the general area of our Beamsville clinic in the heart of Niagara. Can I move from my current clinic to Lincoln Hearing Clinic? Absolutely. If you are not happy with the care you are receiving at your current hearing loss clinic, you can certainly switch. At Lincoln Hearing Clinic, we always welcome new patients and will work with you to ensure an easy transition. Do you have any patient testimonials or reviews available? The Ministry of Health does not permit regulated health professionals to use testimonials or reviews of any kind. If you're interested in learning more about Lincoln Hearing Clinic, please visit the 'Why Trust Us' page or contact us with any questions you might have. Can I change my hearing aid provider? Yes. And, we can help you do just that and help provide you a better hearing experience. Contact us for more information. 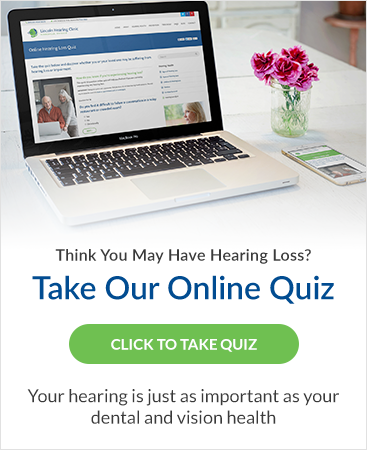 How do I select a hearing aid? We help you with the entire process, from the hearing test, to selecting a hearing aid brand make and model, to tuning your hearing aids. Find out more here. Will my hearing aid be noticeable? There are many different types and styles of hearing aid, and we will work with you to find a pair that work for you and your lifestyle. Find out more here. Where do I buy hearing aids? We offer many hearing aid brands and can help you find the one that suites your lifestyle and needs. Many clinics are now owned by or have contracts with hearing aid manufacturers to prioritize the brand they sell. We are a private family-owned clinic and work with all hearing aid manufacturers. Do you make a commission from my hearing aid purchase? No! We pride ourselves in helping clients find the hearing aids that work for them, not selling on behalf of a brand like other clinics. We put our patients first. How do I know if my hearing aids need tuning? We will constantly monitor your hearing and reprogram your hearing aids on a regular schedule. Our patients are welcome to drop in any time during office hours if they have any concerns or questions. Someone else provided my hearing aids, can you tune them? At Lincoln hearing, we accept Interac, cash, cheques, Visa, and Mastercard. Can I claim anything on my insurance? Each insurance company will work slightly differently. However, if you have audiology insurance, please bring your insurance information with you and we can advise you maximizing your insurance benefits for you or your loved one.